Diversity arrays technology (DArT) is a microarray-based marker system that achieves high throughput by reducing the complexity of the genome. A DArT chip has recently been developed for tobacco. In this study, we genotyped 267 flue-cured cultivars/landraces, including 121 Chinese accessions over five decades from widespread geographic regions in China, 103 from the Americas, and 43 other foreign cultivars, using the newly developed chip. Three hundred and thirty polymorphic DArT makers were selected and used for a phylogenetic analysis, which suggested that the 267 accessions could be classified into two subgroups, which could each be further divided into 2–4 sections. Eight elite cultivars, which account for 83% of the area of Chinese tobacco production, were all found in one subgroup. Two high-quality cultivars, HHDJY and Cuibi1, were grouped together in one section, while six other high-yield cultivars were grouped into another section. The 330 DArT marker clones were sequenced and close to 95% of them are within non-repetitive regions. 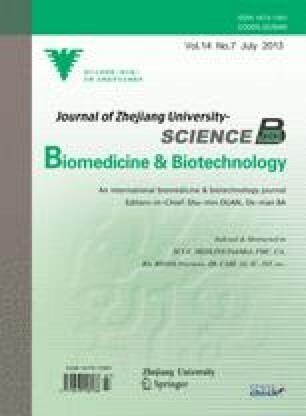 Finally, the implications of this study for Chinese flue-cured tobacco breeding and production programs were discussed. Supplementary material is available for this article at 10.1631/jzus.B1200227 and is accessible for authorized users. Supplementary material, approximately 23.9 KB.